AMD has fired their guns and announced the latest Radeon R9 and R7 series graphic cards. Rival NVIDIA has been silent about the announcement but leaks from Videocardz (via Enet) and Fudzilla reveal that the green team could possibly be preparing a legion of high to mid-range cards to compete against the AMD Volcanic Islands. NVIDIA launched their GeForce 700 series in late Q2 2013 which included three new cards, the GeForce GTX 780, GeForce GTX 770 and GeForce GTX 760. 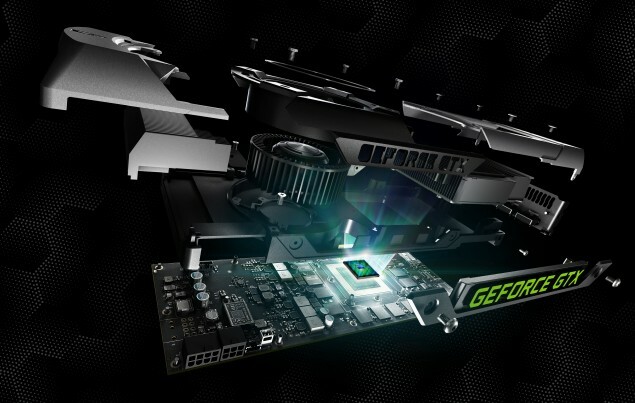 It looks like more are yet to come since a leaked GPU-Z shot unveils a brand new yet cut down GK110 part known as the GeForce GTX 770 Ti consisting of 1920 Cuda Cores, 160 TMUs and 48 ROPs. Actually, the site has mentioned the card to be known as GeForce GTX 780i but we know from past experience that this is not NVIDIA’s type of naming scheme so the GeForce GTX 770 Ti seems more plausible yet i won’t place my bet on it. Nevertheless, the specifications that are mentioned highly resemble those of a crippled GK110 core but featuring faster clock speeds of 1033 MHz base and 1150 MHz GPU boost which are the highest native frequencies we will get to see on a GK110 based GPU. The memory consists of a 3 GB VRAM linked to a 384-bit bus interface running at the standard 6008 MHz clock speed, pumping out 288.4 GB/s bandwidth. Some performance estimates show that the GeForce GTX 770 Ti would be atleast 10% slower than the GeForce GTX 780 but with faster clock speeds, we might even end up seeing a less than 5% difference in various titles as we saw with GeForce GTX Titan vs GTX 780 comparisons. What would the card compete against? 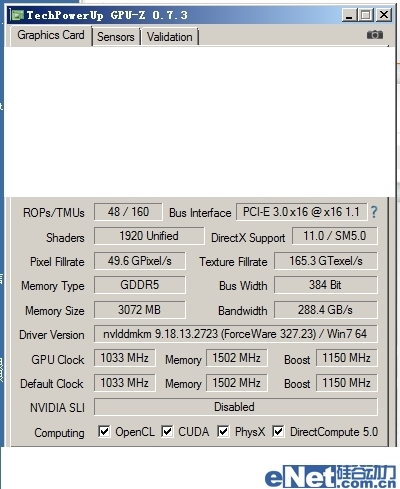 From a quick look at the specifications, i think the card would compete against the AMD Radeon R9 290 (Non-X). Currently, the Hawaii Pro based Radeon R9 290 is sandwiched between the GeForce GTX 780 and GeForce GTX 770. The GeForce GTX 770 Ti would be placed directly against it while the GeForce GTX 780 would try its luck to compete against the Radeon R9 290X which is going to be close to GTX Titan in terms of performance. There are no details regarding price and launch but in addition to the GK110 based GPU, NVIDIA might have a few more possible solutions to place against the R7 mainstream cards. NVIDIA’s current GeForce GTX 760 falls in the $249 price range and has virtually no competitor from the new Radeon lineup. The Radeon R9 270X is $50 cheaper yet a bit slower while the R9 280X based on the Tahiti XT chips is a bit faster yet $50 more expensive. NVIDIA was said to have a GeForce GTX 750 TI a while ago but we never saw that GPU getting announced. The Sub-$199 price market has been flooded with new cost effective solutions from AMD with the R7 series and NVIDIA couldn’t just leave the whole market alone since that is basically the cash cow for both companies. We believe that more cost effective GeForce 700 series cards from NVIDIA could be on the verge in Q4 2013 or they could completely skip them for now and release new faster models next year when Maxwell is about to be released.